My mom, Kathy Murphy, watering her garden after seeds have been planted. My mom, Kathy Murphy, placing honey dew melon seeds in the ground of her new raised garden that's in our backyard. My parents, Kathy and Tim Murphy, are proud of their new raised garden bed they built in their back yard. As a kid, I always liked to grow plants and flowers. During the summers we would have morning glories and pansies in the front yard. The pansies died quickly after they were transplanted into the sandy and hard dirt from their cups of lush, black soil. We tried to grow grass once, but the ground dried up and the seeds blew away. We also had a small garden in the backyard for a few years. It yielded one small and extremely sweet watermelon before the frost came and blacked all the green. On the dry, arid desert that is the Navajo reservation, it’s hard to grow all the things you envision for your backyard — or all the things you see on TV and “Better Homes and Gardens” that’s accidentally sent to us. Grass doesn’t grow anywhere in Crownpoint, N.M., where I’m from. Every neighborhood is brown and in some places shrubs grow and trees grow. Other than that, there’s nothing in the way of landscape and eye-pleasing yards. Historically, Navajos were not farmers. They moved from place to place in search of herd animals to hunt and seasonal vegetables to harvest. Somewhere along the way — and by learning from the pueblos — they learned to farm and grow their own corn, squash, beans and melons. These plants and vegetables and fruit became a very important aspect of Navajo culture and their way of life. Corn and corn pollen is essential to the religion; it’s the Genesis, and the knowledge of farming is sacred. There are prayers and dances for the seeds, the plants, the rain and the earth. Somewhere along the way that was lost. During wars and conflicts with the U.S. Army in the late 1800s, whole vegetable fields were burned to the ground. That was the Army’s successful war tactic against the Navajos: to starve them out and force them to surrender. After they surrendered they were incarcerated and made completely dependent on government food rations. And the people are still dependent. As told in a recent story published by Al Jazeera, statics show that the Navajo reservation is a food desert and the tribe has absolutely no food sovereignty, meaning the tribe does not produce food to support its own people. Around 40 percent of the people don’t get enough food even though over 60 percent are on some sort of food aid program, such as food stamps or the Navajo Nation Food Distribution Programs. As it is now, we Navajos spend nearly every dollar of our hard-earned money outside the reservation for basic necessities, including food. My family drives 50 miles to Gallup for everything. That’s where the majority of grocery shopping happens because food is too expensive at the local grocery store in town. So the tribe has no economy — no balancing or lucrative cycle — because the money goes out to the foreign corporations and the government we depend on. Back at home, it’s a shame to see so much land not being used for farming or gardening despite every family having big back yards and land. My family and I tried gardening in our backyard, but we didn’t have the knowledge or the seed so nothing much ever came from those efforts. But my mom recently installed a large garden in the backyard this spring complete with fencing, richer soil and fertilizer. A couple of weeks ago, I helped her plant blue corn, Navajo squash, and melons. And she planted a tomato plant in the corner just for fun. During our seeding event, she looked to me for knowledge and direction because I did the research and I wrote about farming and gardening extensively for a four-part farming and gardening series I wrote for the Las Cruces Sun-News. For that series, I visited three organic (not organic certified) farms over the course of a month and my eyes opened up to a world of possibility. While living in Las Cruces for the last five or six years, I never knew such a variety of vegetables could be successfully grown in this hot desert environment. I saw lettuce, tomatoes, onions, garlic, eggplants, radish, cabbage, broccoli, cucumbers and sugar snap peas growing under this hot-hot Southern New Mexico sun. It’s hotter here than it is in Northern New Mexico. These small farms use drip irrigation, natural fertilizers and local seed to produce a lot of food season after season. They make profit and eat well, too. These farmers are connected to the land and they have a certain (higher) respect for food and the soil. Isn’t that something Native Americans are supposed to have? Or is that another stereotype we’re trying not to be? These days we’re gathering the remains of our culture and making ourselves stronger in that way. I believe we can be even stronger if we take a step back and take a look at the basics of life and the basics of our being by looking at what nourishes our bodies. If we can start to use our own resources to build our soil — change its chemistry and make it healthy — and start growing our own food, then we can have some food sovereignty and stop being so dependent on the government rations we’re still getting as prisoners on our own reservation — which we shouldn’t forget is our original home between the four sacred mountains. I have such big plans for Crownpoint. I imagine myself as a farmer/restauranteur. I imagine having a small farm that grows many of the same vegetables and fruits I saw growing at the local Las Cruces farms I visited for the series. When it gets really big and successful, I’ll employ a few youngsters to help manage the farm and learn to farm. Some of the food will be used at my restaurant that will be located at the center of Crownpoint, and the rest will be sold. And a few years down the line, I imagine my farming success will catch on and other people will start to take interest. Then the students from the local Navajo Technical College will get involved and include organic farming classes and cooking/nutrition classes for the public and their students. I imagine the people of Crownpoint coming together at the farmers market where the flea market used to be. My dreams and ideas come from La Semilla Food Center, a nonprofit organization that educates the youth and the public about the connection between the land and their health. It teaches kids to farm, eat healthy and are hopeful they will go home and grow with that knowledge always in their mind. Mountain View Market Farm is an emerging nonprofit that will have a focus similar to La Semilla’s. It is an educational, demonstration organic farm that will educate the community about organic practices, methods and food ethics. Anthony Youth Farm is going to be a community center focused on farming. It employs troubled youth and teaches them about all aspects of farming, from seeding and harvesting to pricing and earning a living from their crops. 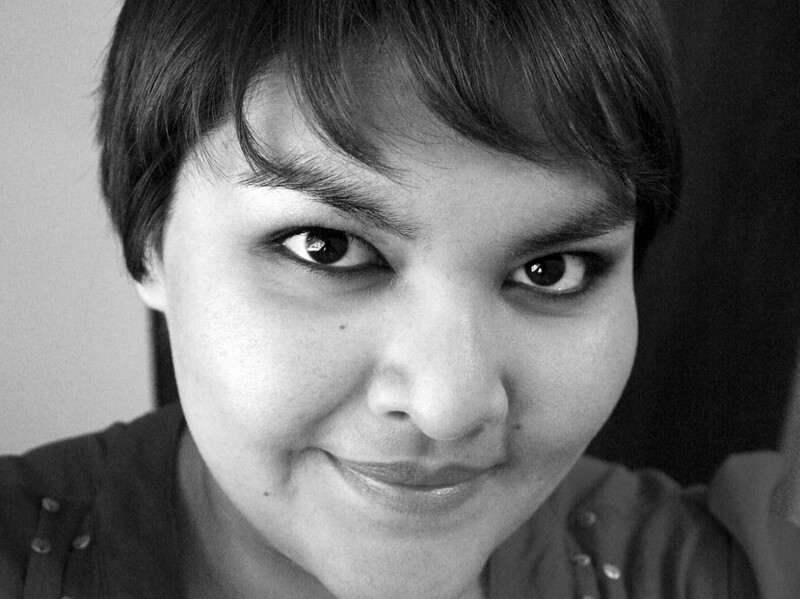 Andi Murphy is a Navajo from Crownpoint, N.M., a small town on the Navajo Nation reservation. She has been a writer since she learned how to use a pencil. She evolved into a journalist, from a creative writer, during her first year in college when she joined the American Indian Journalism Institute and the Native American Journalists Association. Through AIJI, she has held internships in Farmington, Montana and North Dakota. 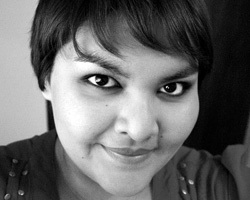 She is a graduate of New Mexico State University and is currently a features writer for the Las Cruces Sun-News. Renee Begay’s decision to follow the Christian God contradicted her family’s beliefs. But it set her on a path to becoming a prominent figure in a national ministry movement.